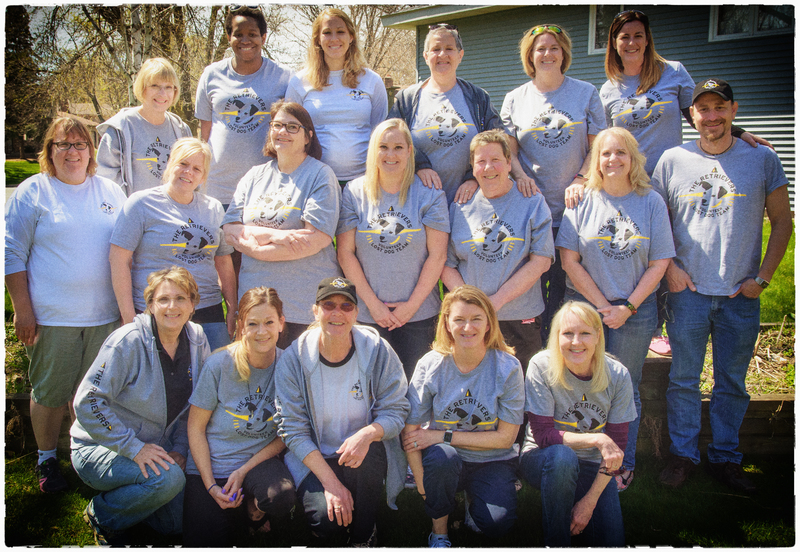 The Retrievers is a Minnesota-based all-volunteer 501(c)(3) organization dedicated to providing lost dog support services for rescues and individual dog owners. We got our start as members of the Lost Dog Rapid Response team for Retrieve a Golden of Minnesota (RAGOM), the nation’s second largest Golden Retriever rescue organization. RAGOM’s philosophy is that “once a RAGOM dog, always a RAGOM dog,” meaning that we will always be concerned about the well-being of dogs that we’ve rescued and have sent to their forever homes. So while RAGOM rescues and fosters 400-500 dogs every year, when any RAGOM dog goes missing—including any of the thousands of “alumni” dogs now living with their adoptive families—the RAGOM Lost Dog Rapid Response team immediately deploys. As members of RAGOM’s team, we created plans, processes and tools to make each response as efficient as possible. Along the way, we recognized that many of these resources could be put to use for dogs not affiliated with RAGOM. So in 2014, we founded the Retrievers, an independent volunteer group whose nucleus consists of veteran members of the RAGOM lost dog team. Many of our team members have several years of experience, dealing with shy, skittish dogs. Some have fostered, rehabilitated and even adopted dogs from puppy mills, hoarding situations and extreme neglect situations. Our experience has taught us how to behave around and approach a dog who is distressed and scared of humans—the most difficult kind of dog to catch once they’re on the loose.